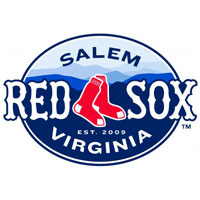 Two dominant pitching performances have carried Salem back into the Carolina League playoffs, and the Red Sox will battle to defend their 2013 Mills Cup Championship starting on Wednesday night. Two wins over Wilmington and a Carolina loss punched Salem’s ticket on Saturday evening, with the Sox holding the Blue Rocks to just six hits in two games: a 5-1 triumph and a 3-0 shutout. Pat Light tossed a complete game three-hitter in the opener, retiring 15 straight at one point to earn his sixth victory of the season. He only allowed a seventh-inning solo homer to Brett Eibner, who foiled the shutout with his leadoff blast in the final frame. Offensively, the Sox scored five times against Carolina League Pitcher of the Year Glenn Sparkman. Salem plated three runs in the top of the first, with Carlos Asuaje driving in a pair and Manuel Margot bringing home another. In the fifth, the Sox added to their lead when Margot launched a bases-loaded double, bringing home two runs to give Salem a 5-0 lead. The second game featured six straight scoreless innings, with spot starters Jonathan Aro and Luis Santos each pitching brilliantly. Aro dealt five shutout frames, striking out six and only allowing three hits. Santos held the Sox at bay through five and a third, also permitting only three hits. Salem broke the seal in the top of the seventh against Zeb Snead, who surrendered a leadoff single to Reed Gragnani. Mario Martinez reached on a fielder’s choice and advanced to second on a wild pitch, creating the situation for Matt Gedman to lace a line drive single to right, bringing in Martinez to give the Sox a 1-0 lead. Kendrick Perkins walked, and Leonel Escobar followed it with a blast to the left-center field gap. Two more runs scored on Escobar’s clutch RBI double, and the Sox felt secure with a 3-0 lead. Nate Reed earned the victory, dealing a 1-2-3 sixth, while Matty Ott earned his fourth save as a result of his perfect seventh. Ott struck out Fred Ford on a nasty slider to finish the game, initiating a very excited line of high-fives and hugs in celebration. Aneury Tavarez, on the disabled list with a strained oblique muscle, felt well enough to dump a big bucket of water on Salem Manager Carlos Febles. For the second straight year, the Southern Division Championship Series will be Salem and Myrtle, with the location of Wednesday’s series opener still to be determined. The Pelicans can clinch homefield for the entire best-of-three series with any win or Red Sox loss on Sunday or Monday. Salem continues its final series of the regular season on Sunday with a 1:35 start in Wilmington. Simon Mercedes is expected to start opposite Miguel Almonte.